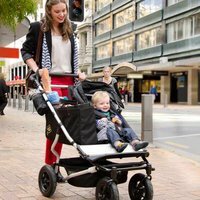 Introducing the new Joey attachment for the Mountain Buggy Duo or Duet which will give more versatility to your Duo or Duet when only one child is on board, whether the eldest has grown up, or is at nursery, or you simply want to shop with one child and carry lots of groceries home with you! 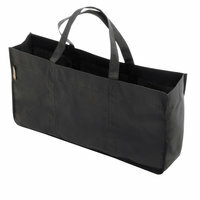 The outside is a strong durable bag, with an inner bag which fits inside, but which you can use then to lift all your groceries out when you get home. It will hold 5kgs. The Joey snaps into place using the existing press stud fittings on the Duo or Duet – but the seat fabric will need removing to use it. The hood should be left in situ so that the double raincover can still be used. The Joey will be available as an accessory for the Duo or Duet in summer 2012. 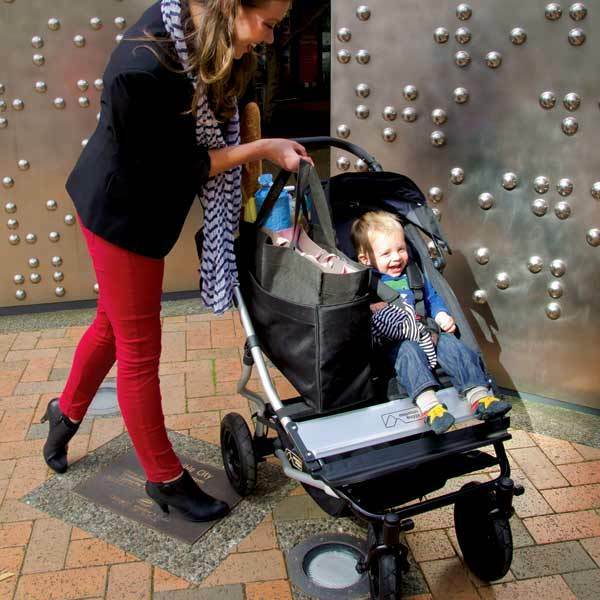 The Joey is a great idea, but we think it makes more sense to buy yourself a large shopping bag or basket and place it directly on the seat unit which combined with your toddler weight can take up to 35kgs. Or reuse the carrycot! 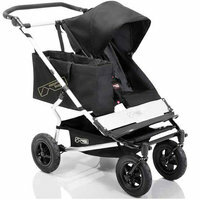 Or buy a single pushchair with a huge basket like the Uppababy Vista or consider a Mountain Buggy +One which is fab for carrying lots of shopping home and still gives you room for two children!